Carol Turner is a nutrition specialist at New Mexico State. When asked to list the health benefits of hot peppers, she spoke for six minutes without stopping, and it sounded like she was giving the short version. “Chile peppers offer a lot of benefits that we don’t often think about,” Turner said. Most of us think of spicy flavors when we think about hot sauce. Turner and her colleagues at the Chile Pepper Institute -- a group of people who probably have the greatest lunch breaks ever -- see hot peppers as more than that. Call it “The Hot Pepper Paradox.” Everything about hot peppers and hot sauce screams, “Don’t put this stuff in your mouth, you maniac!” But hot peppers, hot sauce and salsa are among the healthiest foods on the planet. Researchers are working on linking hot peppers to the treatment of Type 2 diabetes, cardiovascular disease, inflammation, weight loss and cancer. There are thousands of types of hot peppers, and they tend to offer similar nutritional benefits. Take green chile peppers. One serving (half a cup) is low in calories, sugars and carbohydrates. It also contains little fat and no cholesterol. Nutrients include a whopping dose of Vitamin C.
Vitamin C is connected to fast metabolism, the development of connective tissue, biosynthesis of neurotransmitters, immune function, healing wounds and iron absorption. It’s also an antioxidant, which means it destroys free radicals that can enter and damage cells. Vitamin C is necessary for healthy skin, teeth and bones and even helps stave off scurvy. Hot chile peppers contain carotenoids (Vitamin A), flavonoids, antioxidants, vitamins and minerals, all of which confer health benefits, including anti-aging and anti-inflammatory properties, DNA protection and lower blood pressure. The real wonder of chile peppers, though, is capsaicin, a colorless plant compound that gives hot peppers their heat and can be used for its analgesic properties: Yes, capsaicin is so powerful that it’s often used in pain-relieving topical creams. Capsaicin is present in servings of hot peppers, hot sauces and salsas. Inside hot peppers, capsaicin is concentrated in the placental tissue that holds the seeds, as well as in pod walls. Contrary to popular belief, it’s not the seeds that bring the heat, although seeds can be hot. The heat found in seeds is absorbed from the placental tissues. How hot is capsaicin? The Scoville Scale is the standardized measure of pepper hotness. Traditional red Tabasco sauce represents 2,500 to 5,000 Scoville heat units. For pure capsaicin, the tally is 16 million Scoville heat units. The lesson: don’t put pure capsaicin in your soup for the health benefits, or else a rogue government may kidnap you and weaponize your face. The average chile pepper is a simple plant, but scientists are just beginning to understand peppers. Researchers are working on linking hot peppers to the treatment of Type 2 diabetes, cardiovascular disease, inflammation, weight loss and cancer. Capsaicin does something incredible. It causes cells -- notably cancer cells -- to undergo apoptosis, which is basically cellular suicide. The state of New Mexico, O’Connell points out, has a lower rate of cancer incidence compared to the rest of the country. Is it because the local diet is rich in hot peppers and hot sauces? No one knows for sure. “It’s an aspect about our environment that is unusual,” O’Connell said. Spicy foods can be used to curb appetite and aid weight loss, which makes sense, because setting fire to your mouth tends to have a prohibitive effect on consumption. Still, scientists need to study these things, and that’s just what they did. One 34-person study conducted by UCLA researchers found that the body burned more energy when a form of capsaicin called dihydrocapsiate (DCT) was added to test subjects’ low-calorie liquid diets. DCT also increased fat oxidation, which causes the body to use more fat as fuel. Researchers at Purdue University found that hot peppers can curb your appetite. Of the 25 participants in the study, 13 liked spicy foods and 12 did not. The study revealed that those who didn’t eat red peppers regularly but who were given cayenne pepper in their food experienced a decrease in appetite for fatty, salty and sweet foods. A separate study out of Europe found that spicy foods raise levels of a certain appetite-suppressing hormone. As a college student on a budget, Antoniades discovered that he could make a whole pizza last longer by dousing one piece with hot sauce and hot peppers and eating just that one atomic slice per meal. This isn’t how he lost weight, but it’s how he started on hot sauce. After college Antoniades gained weight, so he took a week off from work to study nutrition. He developed a diet that would work for him -- the Hot Sauce Diet. By eating hot sauce with meals, Antoniades consumed less food, was forced to drink more water and used hot sauce to beat back hunger pangs during the day. He lost over 70 pounds by eating a balanced diet with hot sauce and stretching the time he took to eat each meal to 30 minutes. Each meal includes a halftime, during which he drinks a whole glass of water. New Mexico State’s Turner, who is a dietitian, urges her patients to eat hot peppers. She sees them as “doorway” food: If someone is willing to eat a hot pepper, then they’re probably willing to try a host of new fruits and vegetables they haven't tried before. Foods containing capsaicin can decrease the ability to taste other flavors. This is great news if you’re an awful cook, but it’s not ideal if you’re eating at a restaurant where the chefs have cool foreign accents. As for upset stomachs, there’s no proof that hot peppers upset the stomach any more than other foods. The biggest danger to most people who eat hot peppers or hot sauce is getting capsaicin on their skin and rubbing it in their eyes, which your author can confirm is the worst feeling in the universe. 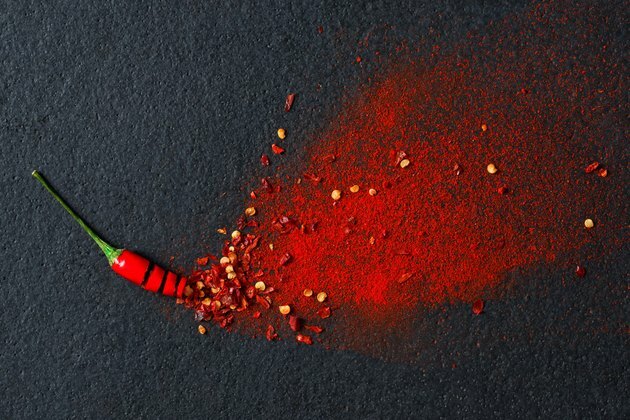 It turns out there’s a correlation between personality and spicy food preferences. You probably already knew this deep down, based on how many gallons of hot sauce your uncles consume at family get-togethers. A researcher at Penn State actually assessed hot pepper eaters using the Arnett Inventory of Sensation Seeking. Those in the group who scored above the mean AISS score were considered more open to risks and new experiences. Those scoring below the mean tended to drive sensible economy-size cars and talk about the weather. Not surprisingly, those thrill-seekers who scored above the mean AISS enjoyed spicy foods more. Joe Donatelli is a freelance journalist. Follow him @joedonatelli. READERS – DO YOU LIKE SPICY FOOD, HOT SAUCE OR CHILI PEPPERS? 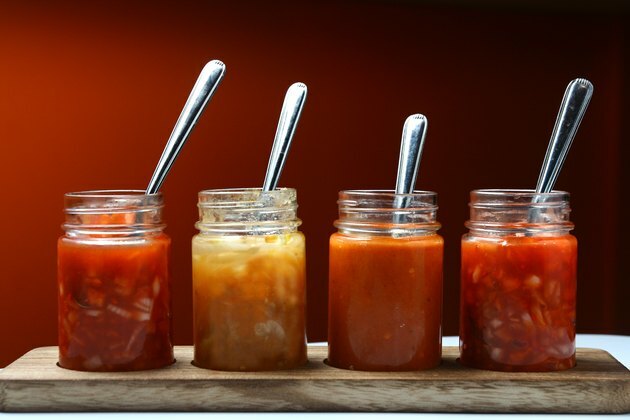 WHAT ARE YOUR FAVORITE FOODS TO ENJOY WITH HOT SAUCE? DID YOU KNOW ABOUT THE HEALTH AND DIET BENEFITS OF CHILI PEPPPERS? LEAVE A COMMENT BELOW AND LET US KNOW.